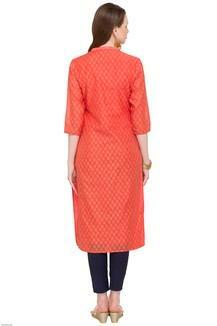 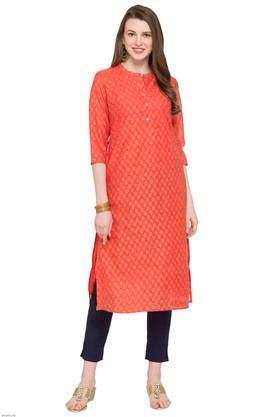 Accentuate your silhouette wearing the well-fitting and pretty kurta from Stop. Made from quality good quality fabric and featuring three quarter sleeves along with mandarin neck, this printed kurta is ideal for regular wear. Flaunt the right amount of elegance, style and class with this kurta. 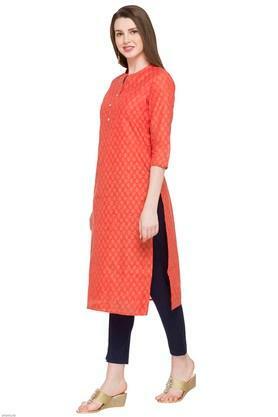 Team it up with a leggings with high heels.